Many investors and economic minds are trying to predict when the next recession is going to arrive. Since about the start of 2018, the global economy has shown signs of slowing down. It’s natural for this to occur after such a long boom, but not to the extent of slowing we have recently seen. If you’re obsessed with planning ahead and being financially secure no matter what, this should be more intriguing than worrying. You have a chance to buy low and if you’re smart your investments will eventually yield incredibly returns when the booms comes around. That should motivate you because it will and those that are clever will have been the hesitant rebounders. But what can you invest in when there is quite obviously a slump in the markets? Normal doctrine says you need to be frugal and keep a neutral position while some other commentators might say it’s time to pull out. 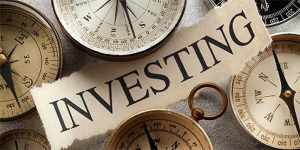 Here are some investment opportunities that continue to be bullish even during an economic slow down. What’s the one thing that may always have value? Gold and silver of course. They have eternal value and inherently act as a very attractive investment for those looking to plan ahead. Towards the end of 2018, gold was and is truly in a bullish ferver. Gold is currently around $42,000 per kilo, which is around $16,000 more than where it was just 3 years ago. Of course around the time the 2007/8 crash happened, gold per kilo was worth a staggering $54,000. However many concerned that the recovery form the recession was pretty much over in 2016. This shows that when everything was going right in other commodities, gold slumped as interest went elsewhere. That also included the interest of governments and world banks too. However, since the US and German 10-year yield curve went negative in March of this year, gold has become the fallback currency. Look for banks that are trying to stock up on their gold reserves in preparation for an economic shock as a sign of when you should begin buying. Gold has always been the top dog in the precious metal world and it may always be that way. However silver is the underdog that you should bet on. A kilo of silver right now is $482. Although it went through to an enormous rise in 2011 where one ounce was worth $38, which was the highest since the 1970s, silver has been on a slow decline. Right now it’s around half of that price for one ounce. However, silver has been a great back up to those who can’t afford to invest in gold. It’s a medium market favorite because just like gold, it has a really long shelf life in terms of attractive investment. The good thing about silver is, when gold begins to rise usually silver does too with it. When global economies begin to slow, the production of silver and gold rise in accordance. Buy now since it’s cheap and you will already be ahead of a slow down and rise in mining. The bible of any prudent investor will always have one dominant term of advice; ‘buy property because god isn’t making any more of it’. However, if you keep a sharp eye in this regard, you’ll already know that China and many other rising economies are buying up land in the West. This means that the competition is already very high and the prices are going to be eye-watering. So, look where no one else is looking such as east Asia. countries like Singapore, Indonesia and Malaysia are continually proving to be modern places to invest in property. Consider a Penang property below 300k which easily has over 1000 square feet and multiple bedrooms and bathrooms. With modern decor that could rival many contemporary homes in the West, this is somewhat of an untapped resources for property investors. In a city with approximately 1.7 million people, it’s also a place where young professionals might want to start their families. It’s a base of interest that you should begin to sift into while there are many opportunities. Investing in precious metals has always been a good idea. Whether the price per ounce or kilo goes up or down, it’s never enough either way to push you out of the market. Gold is showing consistent signs of rising as the global economy slows. Silver is a brilliant medium market investment if gold is out of reach for you. As ever, property never becomes dull but the location of where the best opportunities are does, so make sure you’re not taking your eyes off Malaysia.